Need to post a Medical Billing and Coding job? Contact us at dmc@desmedcar.com. Serving the Phoenix metro area for over 15 years, Desert Medical Careers connects candidates looking for jobs in medical billing and coding with respected employers in the Valley. At DMC, we personalize the job recruitment process to your healthcare facility’s needs. Whether you’re looking to fill a medical billing and coding position in a small practice or need to fill several jobs for a hospital or long-term care facility, we work with you to find the personnel best qualified to meet your organization’s needs. During our time serving the Arizona valley, several healthcare organizations have come to depend upon our expertise in filling a variety of positions within their organizations. 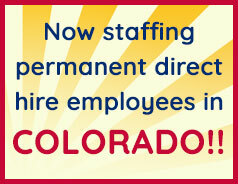 If you need to fill some staffing gaps in your organization, contact us today at dmc@desmedcar.com. For individuals searching for medical billing and coding jobs, you’ve come to the right place. Our most current list of job openings is located here. Even if you don’t see a position for your particular skill set, we still invite you to send us your resume at dmc@desmedcar.com. We’re constantly posting new opportunities from the employers with whom we work, so it’s possible that we’ll soon be working to fill more medical billing and coding jobs in the Phoenix metro.